The smell of lamb stew is wafting through our house. Lavender oil burns from Ella’s room. I sit here in my studio-turned-craft-room amid strewn fabric pieces and glue and scissors, and I have every reason to believe that right now, I want for nothing. It’s been a little overcast and drizzly here lately, which I always love because when the outside’s not so bright, it makes the inside even cozier. 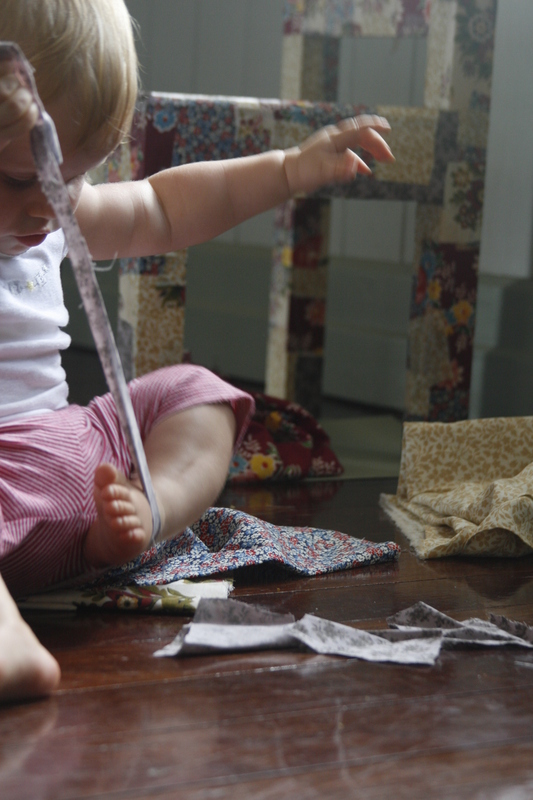 We’ve been cooking and reading stories and since the rain always makes my crafty blood run hot, we started on a project for Ella’s first birthday. Papa’s been busy building, and on Monday morning, he proudly presented the finished product to me, saying nothing more than what is said by a big beaming smile. I loved it, and of course, I wanted to decorate it. So it was off to Spotlight for a family adventure. A husband-made kid’s table and chairs. (Joel got instructions off the internet, I think.) Or, you could just buy a set from Ikea. 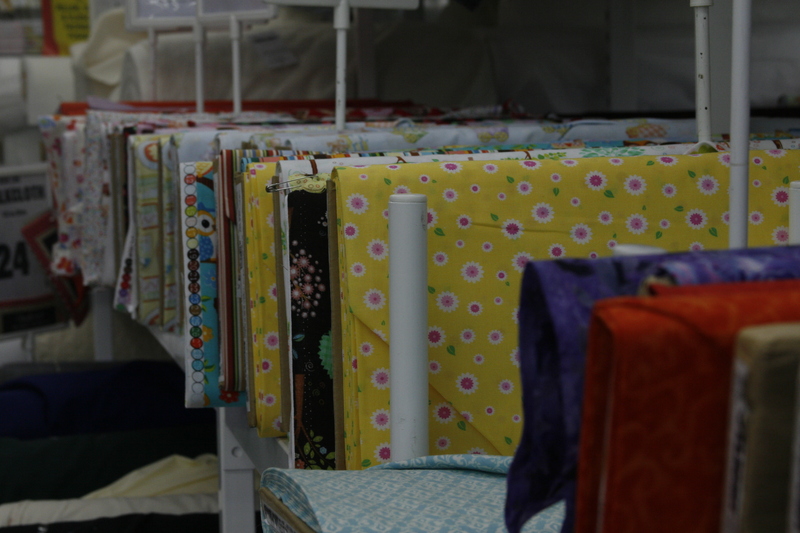 I was a little bit in heaven as I scoured through rows of fabric and rummaged through the sales bin to find eclectic bits of colour I could weave together into something beautiful. We set up camp on the floor and took our time. When Ella went down for the night, Joel and I grabbed some beers, went to my studio, pushed my massage table aside, put some music on, and began. There is a certain kind of happiness I find in small things like this; being next to someone I love and being creative. 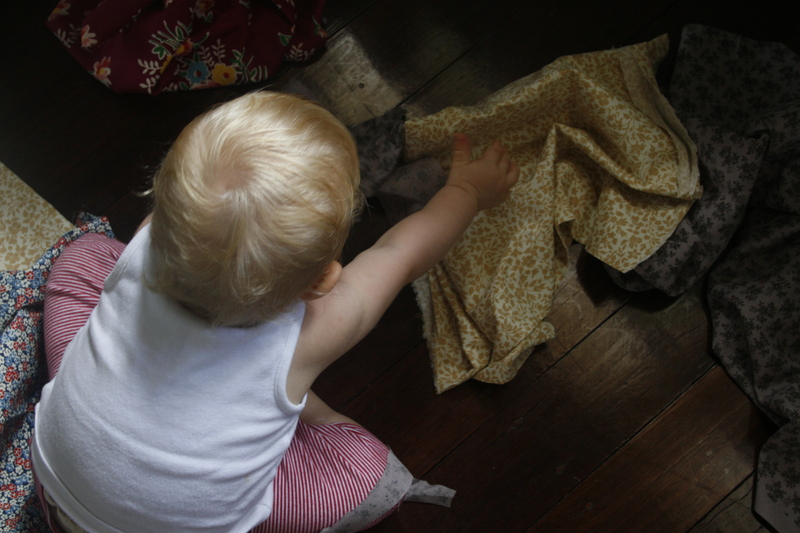 We didn’t have to talk, and we didn’t much, and yet so much was understood; simply that we love our girl so much we want to create something for her with our own hands and hearts, something we will have in our home long after she grows up. I sat there contented, knowing with certainty that this kind of happiness would not exist if we owned a television. I love that we don’t. 1. Clean chairs. 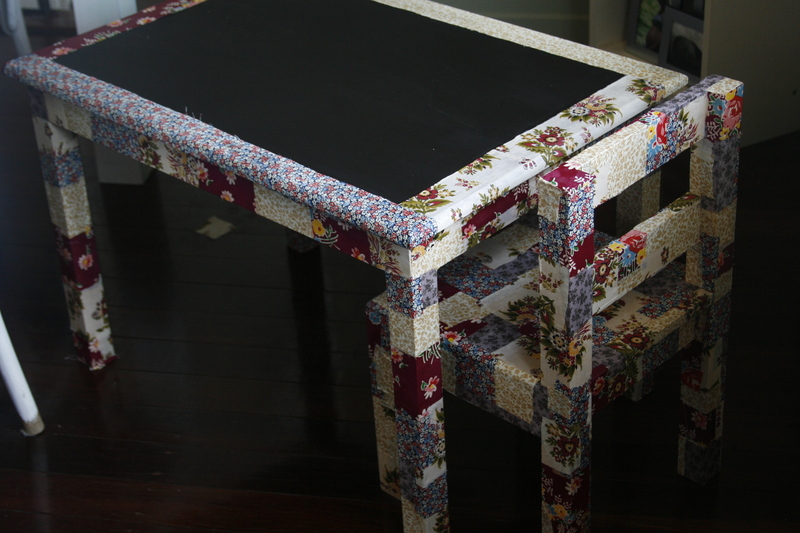 Begin by painting Mod Podge onto a small area of chair, adding cut fabric squares or rectangles (I mixed it up, didn’t follow any measuring rules and cut and placed fabric as I worked), and layering more Mod Podge on top. 2. 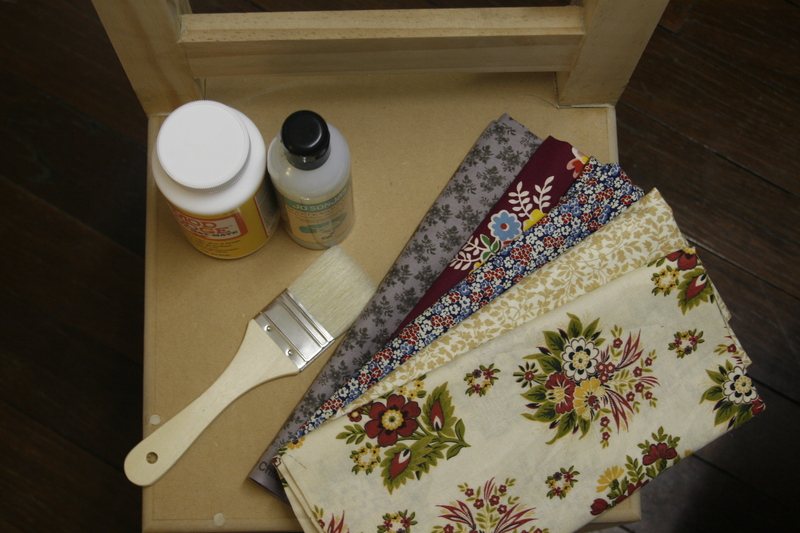 Continue to layer fabric pieces and Mod Podge, overlapping fabric when necessary, to cover entire surface area of chairs. 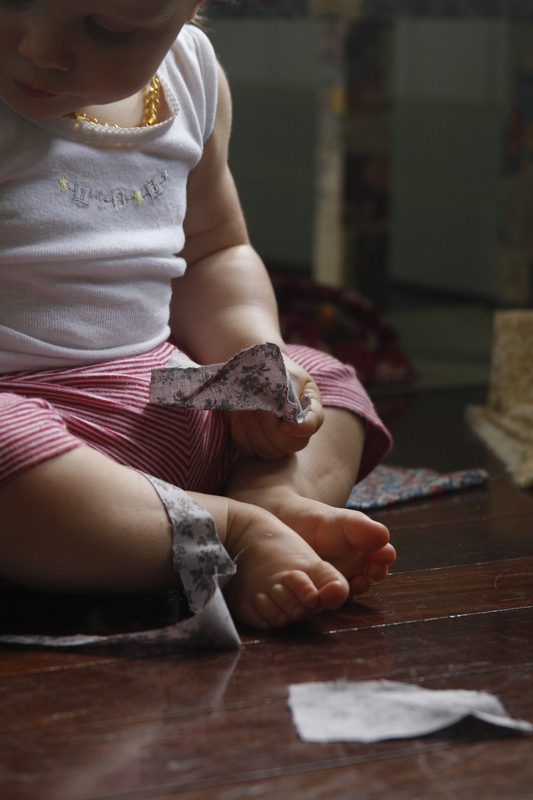 The Mod Podge will help smooth out fabric around edges. 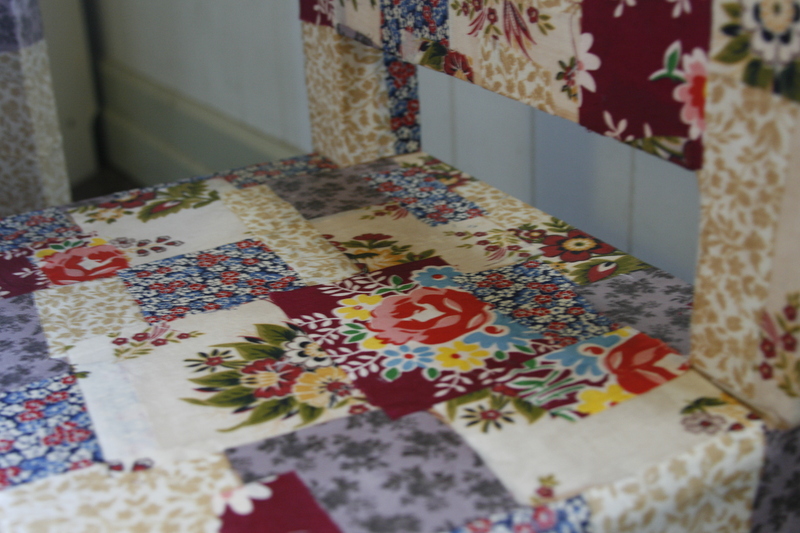 Make sure no chair shows through, cutting smaller fabric scraps to cover areas when needed. 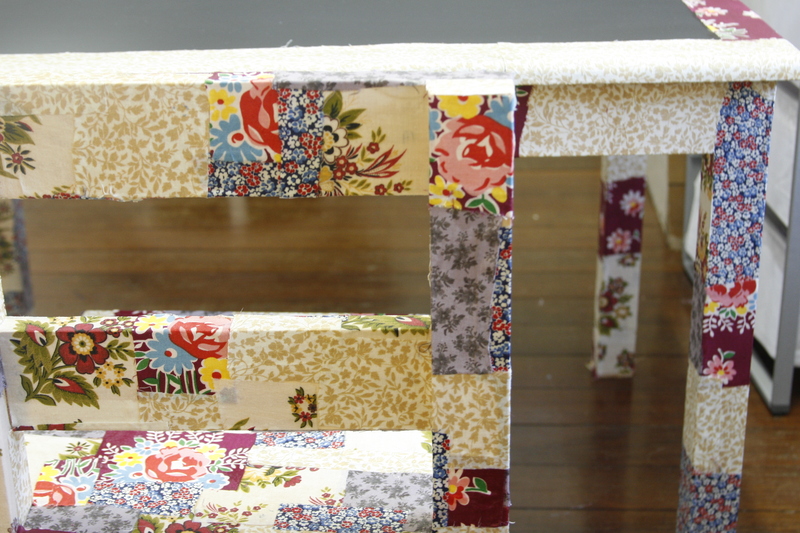 When chairs are completely covered, coat well in Mod Podge. 3. Let chair dry. 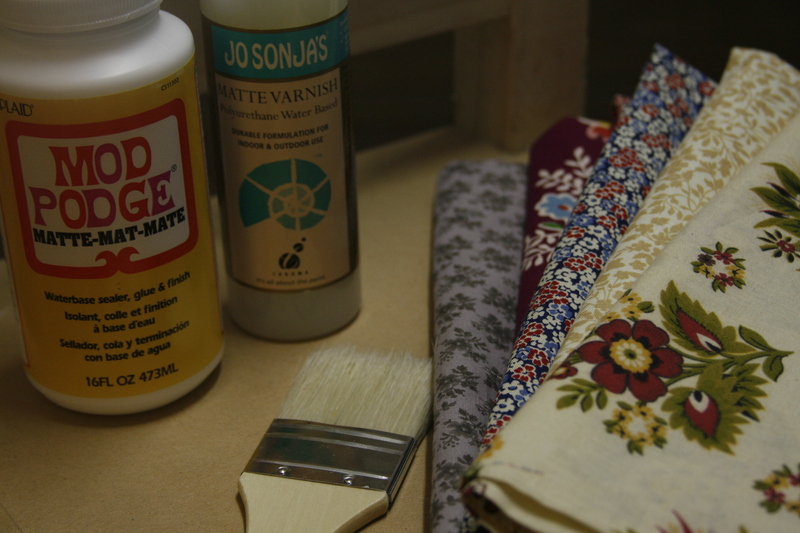 Add another good coat of Mod Podge and let dry again. 4. Add two coats of polyurethane to seal chair (drying between each layer). This will help it endure kids and allow it to be wiped clean. 1. We found some left-over blackboard paint under the house and decided to make the table-top into a blackboard for Ella to draw on, but which could also be used to eat at, or for doing other craft projects on. First, Joel painted the entire top with blackboard paint. 2. 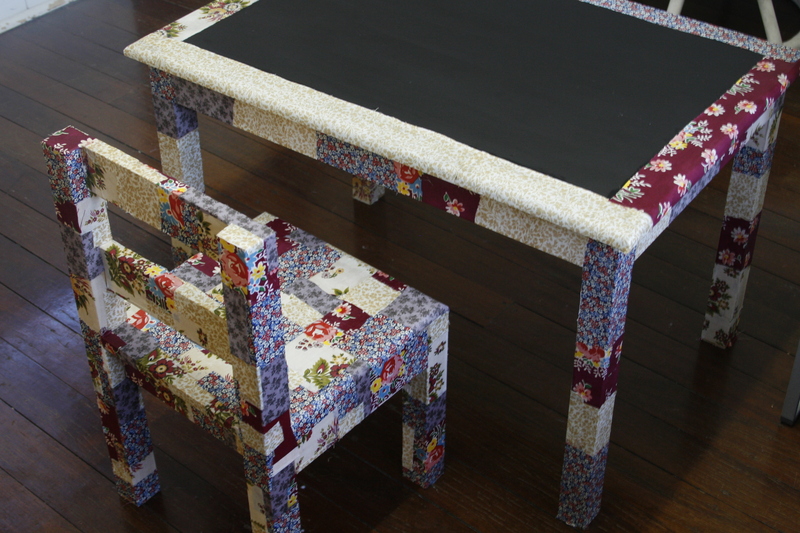 Repeat the same patchworking process as you did with the chairs. 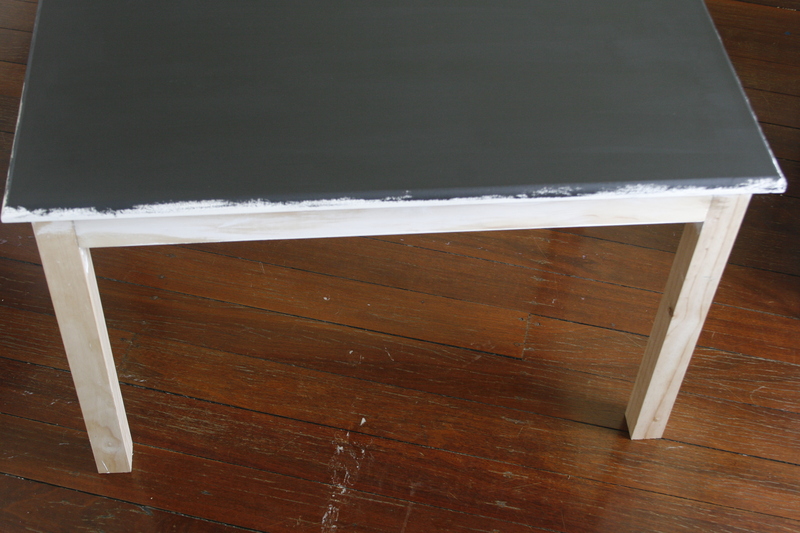 When doing the trim of the table-top, put a ruler just beyond the trim when you apply the Mod Podge and polyurethane to stop it getting all over the blackboard paint and being unable to be chalked on. Let it all dry and it’s ready to go. Mod Podge. SUCH a strange name. That is so great…you are so clever and crafty! She will love that for years and years and years! I hope so, and even if she doesn’t, we will! That’s amazing! What a great idea – and you make it sound so simple!! It really is simple Mary, just time-consuming! That is fantastic! 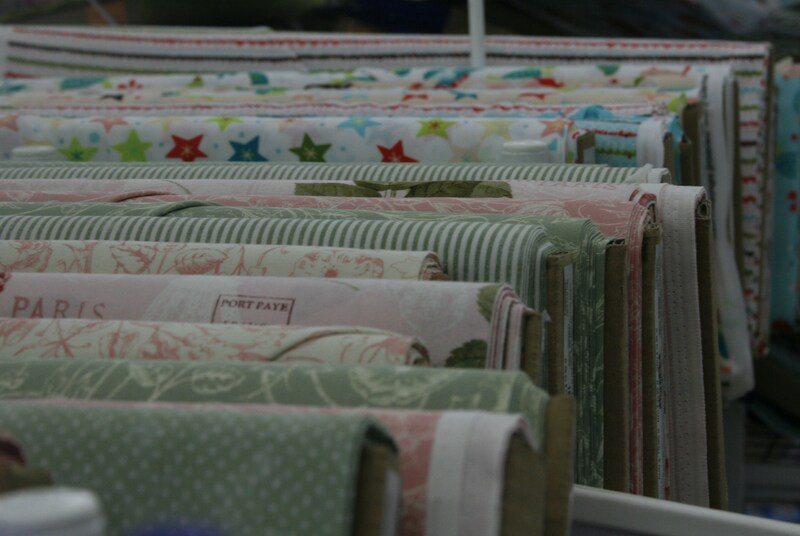 I’m totally going to copy you and I have tons of scrap fabric from making dolls. Also, I’m ona pin it! Copy away! It’s an awesome thing to do. And show me the finished product, I’d love to see it! I’m finding it progressively more frustrating to find good content online and I generally try and comment on a piece of writing I believe is useful. Well, this is me commenting.